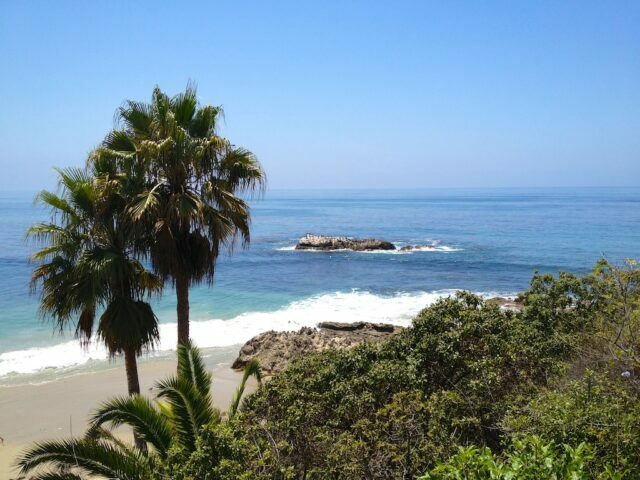 This large rock that juts off the North side of Main Beach in Laguna is a beautiful example of the habitats that shore birds live on and is part of the California National Coastal Monument. The California Coastal National Monument is a collection of 20,000 small islands and rocks off the coast that are protected and given National Monument status. 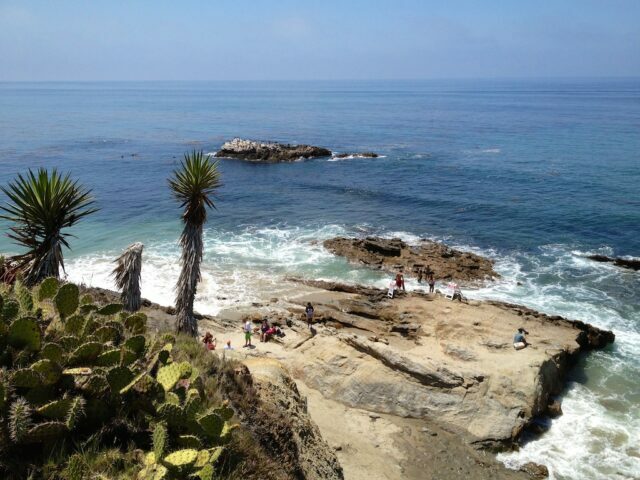 Prior to bringing Bird Rock into that the closest access we Southern Californian’s had to the National Coastal Monumnet was up in San Luis Obispo County. 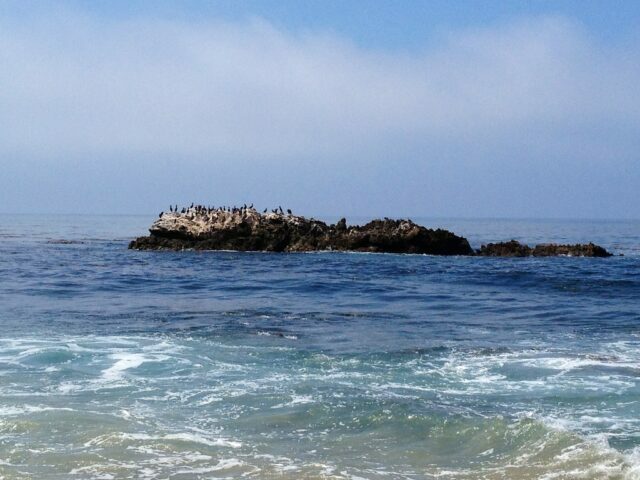 While largely unassuming, this rock only sits about 30 feet off the main beach and it provides a harbor for many different specifies of birds to live on such as the brown pelican and multiple types of gulls. 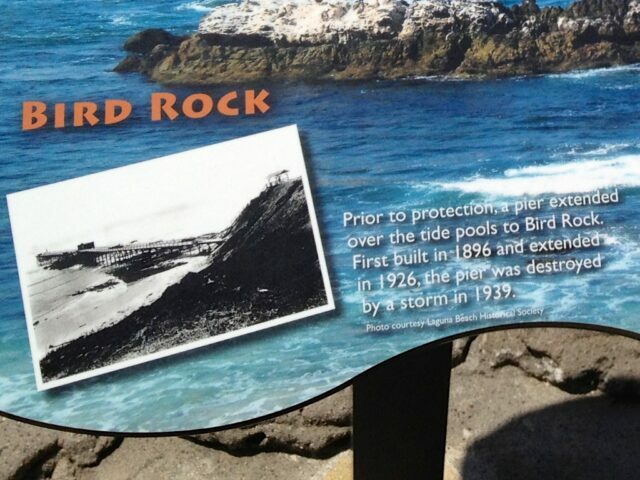 Bird Rock itself was once the outer anchor for Laguna Beach’s pier built in 1896 which was destroyed in a rare tropical storm that hit the L.A. area in September 1939. Other then checking it out from afar there is not a lot of things you can do or see at Bird Rock; however I am a fan of these types of places becoming protected so that they can be preserved for generations to come. 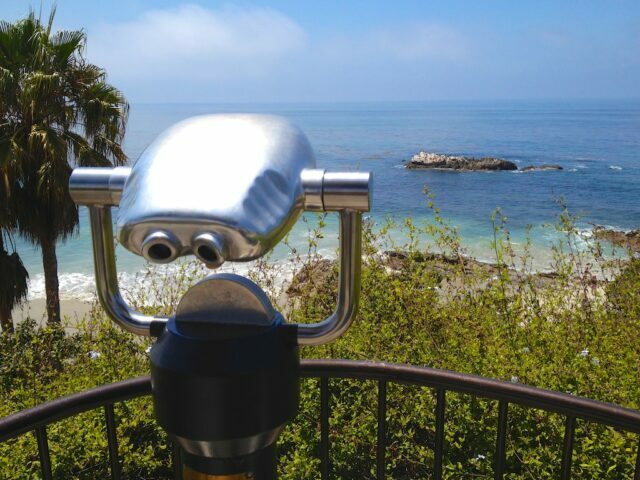 If you are checking out Bird Rock, make sure to spend some time at the beach, the tide pools and the many restaurants Laguna Beach has to offer. Get directions below and feel free to leave a comment.